Daniel William Wood Jr. was born on 14 May 1969, in Boston, Massachusetts, USA. He is a record producer, singer, songwriter and actor best known foe being a member of the boy band New Kids on the Block. He’s also known for his solo singing career, and all his efforts have helped put his net worth to where it is today. 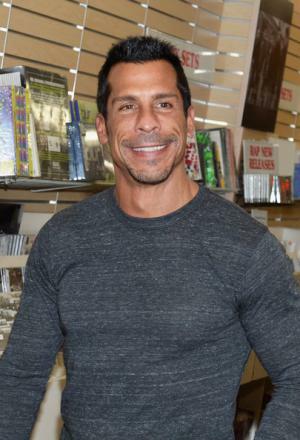 How rich is Danny Wood? As of mid-2016, sources inform us of a net worth that is at $12 million, mostly earned through a successful career in the music industry. Danny is one of the choreographers for New Kids on the Block and he’s also released several albums as part of his solo career. As he continues to work, it is expected that his wealth will also increase. While attending Boston University, Danny was invited by his friend Donnie Wahlberg to become part of a new boy band called New Kids on the Block. He joined the group and tried to balance his academics with the band’s commitments, but soon left school to pursue a music career full time. Eventually the band would become one of the most popular boy bands in the 80s and early 90s, touring across the globe and selling more than 70 million albums worldwide. Their first album release became triple platinum certified in the United States, and they continued to make hit songs. Their second album entitled “Hangin’ Tough” included songs such as “I’ll Be Loving You (Forever)”, and “You Got It (The Right Stuff)”. During the 1994 tour entitled “Face the Music”, band member Jonathan Knight left the band and this led to the disbandment of New Kids on the Block. During this time, Danny decided to go on a solo music career much, like the rest of the former members of the band. He released various albums including “D-Wood: Room Full of Smoke”, “D-Fuse: Room Full of Smoke” and “Stronger: Remember Betty”. He also released three singles in 2003 entitled “Different Worlds”, “When the Lights Go Out” and “What If”, plus he started his own record label called Damage Productions, which was responsible for most of his releases. In 2008, the members of New Kids on the Block reunited and started recording a new album. They continue to make music and tour today. Wood’s net worth is steadily growing. Danny also had a brief acting career, notably appearing in the film “Tequila Express” alongside Christopher Atkins. Wood is also known to do philanthropic work from time to time, helping with charities and organizations in Boston. He also launched a breast cancer research organization called Remember Betty. For his personal life, Danny is married to Emma Porter since 2007 and they have a child. Wood has three other children from previous relationships, including two with his ex-wife Patricia Alfaro(1997-2006), and one is from an ex-girlfriend Elise Stepherson. His music is described as a combination of several genres such as jazz, R&B, and hip hop. His album “Stronger: Remember Betty” was based on the loss of his mother.